President Trump is getting a letter from 64 House Democrats asking him to fire Scott Pruitt or encourage him to immediately resign as EPA administration. House Minority Leader Nancy Pelosi called for his termination earlier today. This adds to the intense scrutiny Pruitt has faced over everything from excessively spending taxpayers' money on personal travel, to paying $50 a night to live in a condo owned by the wife of an energy lobbyist. President Trump has defended Pruitt as "a good man," but it will be tough to ignore the mounting negative press. 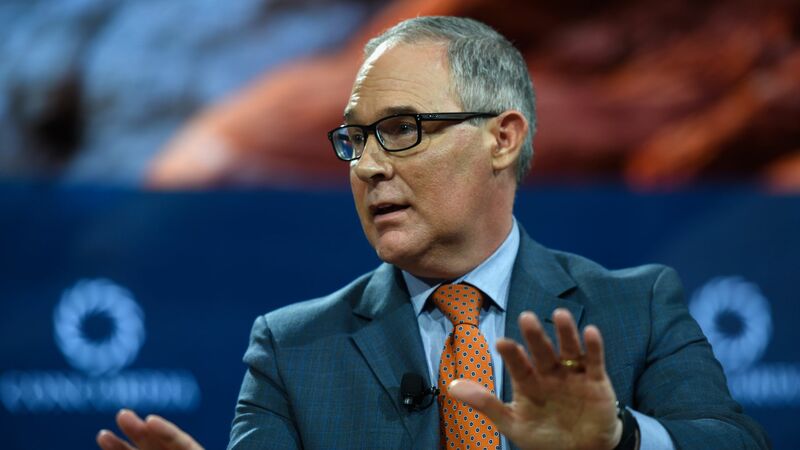 The other side: Conservatives are repeatedly asking President Trump to keep Pruitt. That's largely how he still has his job.